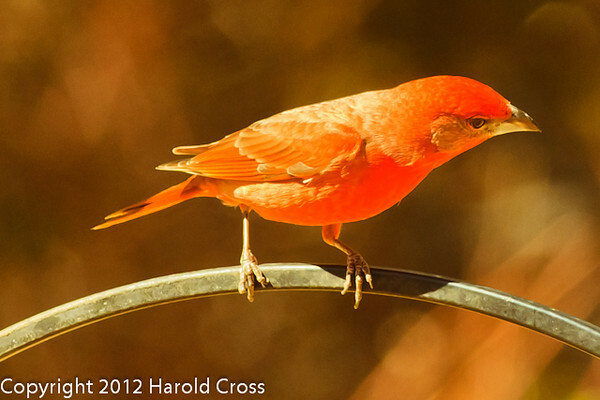 A Hepatic Tanager taken Feb. 27, 2012 in Madera Canyon, AZ. What a colorful bird...I've never seen one of these...seem to be a lot of birds I've never seen in person. Great capture! Gorgeous shot of this orange bird! !